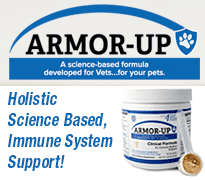 Do you worry about wear and tear on your Tripawd’s hips and joints? 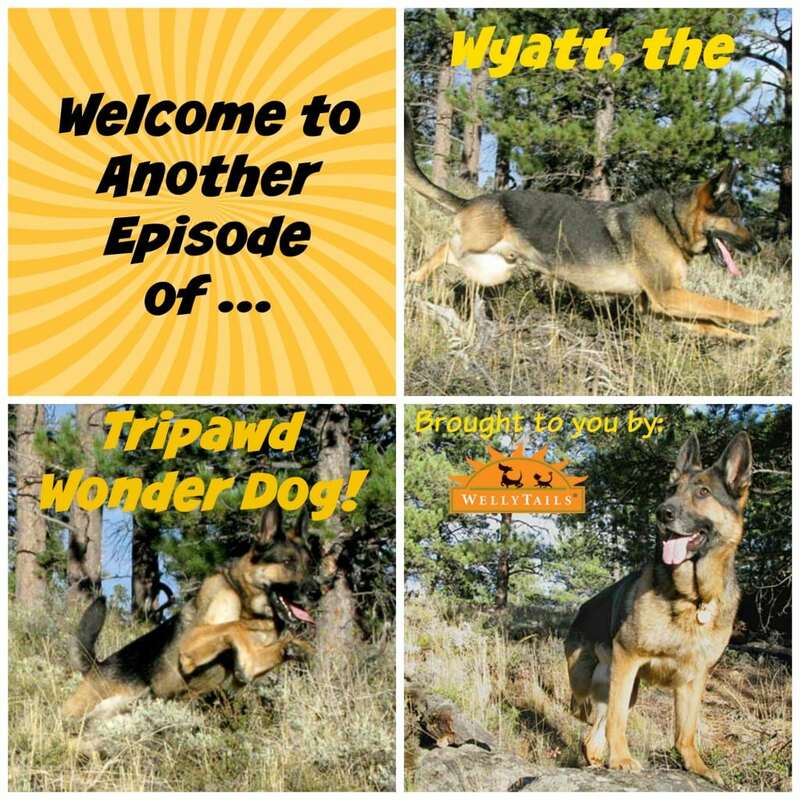 Fear not, Wyatt the Tripawd Wonder Dog is here to save the day! Even with one less leg, you can see that Wyatt takes exercise as seriously as any other five year old German Shepherd. Not a day goes by when he’s doesn’t try to fly off a rocky perch, zoom straight uphill or chase a feisty squirrel. We flinch whenever he throws himself into these crazy adventures, since he has an achy hip and no legs to spare. Like every Tripawd pawrent, we want him to enjoy being a dog for as long as possible without hurting himself. That’s why when we had the chance to give WellyTails Cartilage, Hip and Joint savory gravy supplement mix another go-around in Wyatt’s diet, we jumped at the chance. This all natural powder gravy mix is a no-brainer way to get premium mobility support supplements like gluosamine, chondroitin and MSM into Wyatt’s system without shoving pills down his throat or fattening him up with glucosamine-infused treats. With just two scoops in each meal, we’re making sure that Wyatt gets what he needs to continue doing what he loves most without getting hurt or sore. The package it comes in is huge, he still has quite a bit left over for next month. 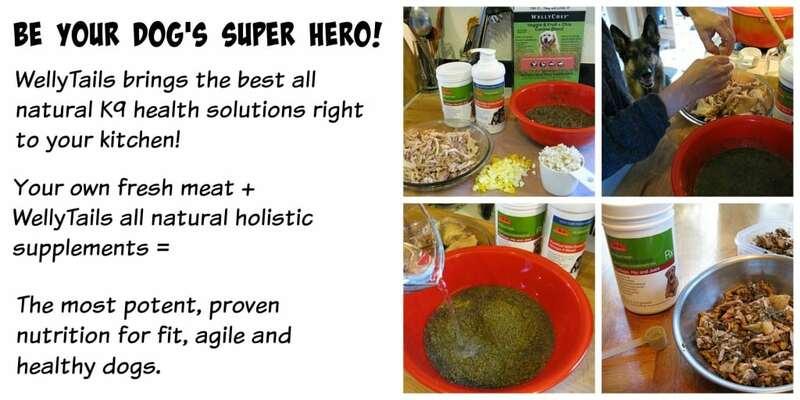 For about 30 days we added WellyTails Cartilage, Hip and Joint to Wyatt’s regular diet, as a savory gravy topper for WellyTails new DIY grain-free dog food, Veggie & Friut + Chia Canine Blend. You can include optional ingredients like a hard boiled egg and one carbohydrate source like cooked quinoa, brown rice, oatmeal, barley, white potato or pasta. Since we had a lot of brown rice around the house, we added this carb to Wyatt’s food because we thought his extra activity up here in the mountains was making him a little too thin. WellyTails also sent us a bottle of their Wild Ocean Fish Oil Omega-3 Blend to use in the food, which was a great addition. We were especially impressed in the bottle it came in, which sounds crazy but here’s why: the bottle has a “stay ever fresh pump system” that’s used in human medicine for treating burn victims. The special bottle prevents oxygen (air) from contaminating the fish oil and turning it into a free radicals cesspool. After one month of Wyatt getting the WellyTails Cartilage, Hip and Joint supplement into his system, along with dining like a king on the Veggie & Friut + Chia Canine Blend, we’re certain that the premium ingredients are making a difference in his ability to keep up with the demands of being a mountain dog. 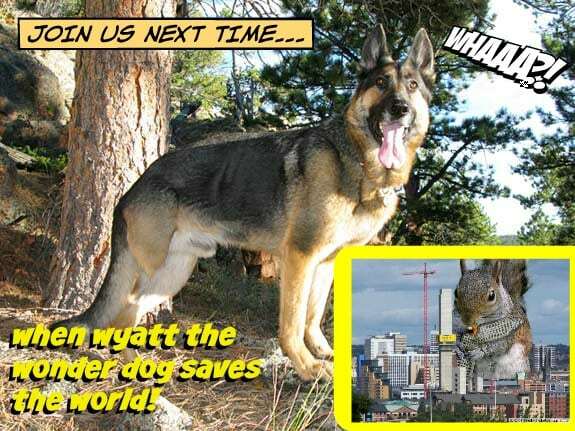 Thanks to WellyTails, every day is another chance to be a three-legged K9 Superhero! This post is sponsored by WellyTails and the Pet Blogger Network. 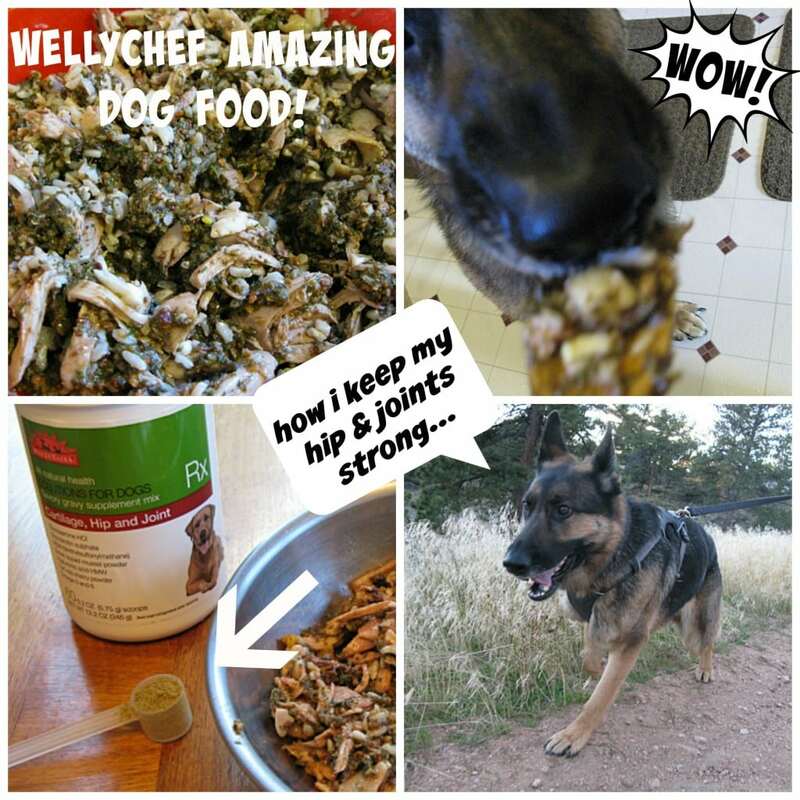 We are being compensated for helping spread the word about WellyTails WellyTails Cartilage, Hip and Joint supplement and WellyChef Veggie & Friut + Chia Canine Blend, but Tripawds only shares information we feel is relevant to our readers. WellyTails is not responsible for the content of this article. Thanks for bringing us such wonderful options…healthy….options to try! 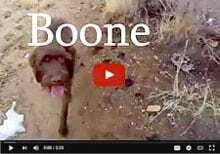 As always, seeing our favorite “GSD guinea pig” enjoying his “experiments” makes us smile! You better take a step back from that big squirrel Wyatt….looks like her been eating WellyTrails too! I wonder if Nixon would like this. He gets 4 GNC Pets Ultra Mega Hip & Joint Health for Senior Dogs and REALLY dislikes the taste. A lot. I have to coat it in lots and lots of cream cheese. Joint health is always important to us with Nixon’s spinal cord injury and then being a front leg tripawd. Haha Sally, yep that’s our Wonderdog Guinea Pig! He doesn’t mind as long as there’s good food involved. 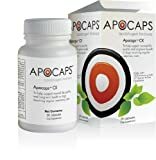 We really do think Nixon would like it, this is one of the first supplements we’ve tried that is so well disguised in a true, natural gravy flavor (it smells deeelicious), that he just might go for it. WellyTails offers a money-back guarantee if it doesn’t work out. We’ve met the owner and he’s so knowledgeable and helpful.